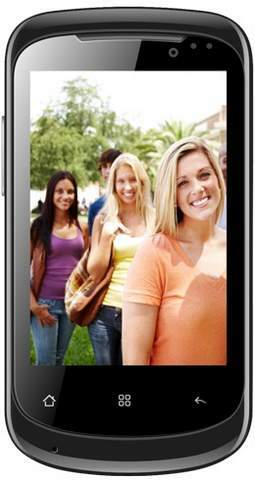 Celkon A9 Dual, the company’s latest budget dual core smartphone has been officially announced. The phone comes with some entry level specs. The A9 dual has 3.5 inch display, 1.0GHz processor and Android 4.2.2 Jelly bean OS. It would compete with recently announced Micromax A37, A24 and A37B. The handset comes with 2-megapixel primary shooter and a VGA front imager. Overall the handset offers many features, which would please any beginner but it lacks 3G connectivity. The A9 Dual is 10.6 mm thick and weighs 116 grams. It has 512 MB of internal storage ( not all memory is allocated for user). The Celkon A9 Dual houses 1350 mAh battery and has G sensor. It is not mentioned whether the phone is DUAL SIM or Single SIM. It features 2G, EDGE, GPRS, WiFi, Bluetooth, micro USB and FM radio. It has 256MB of RAM. The price of the phone in not announced yet, but it should be under RS 4,000.